Life in Lothal four thousand years ago. This is actually not the standard imagined reconstruction of the city, but the frontispiece of excavator S.R. 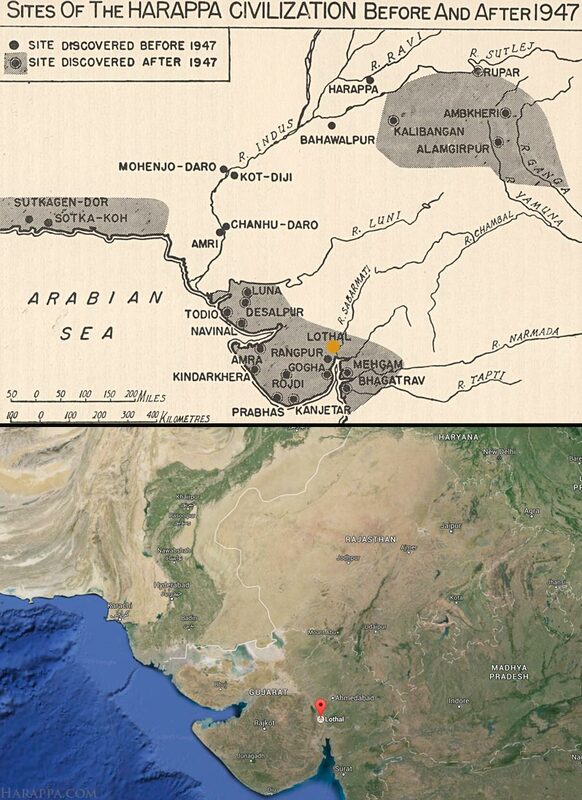 Rao's book Lothal and the Indus Civilization. A closer view from the same perspective - that imaginary reconstruction was no doubt based on this - it has different people and things in the fore and background. 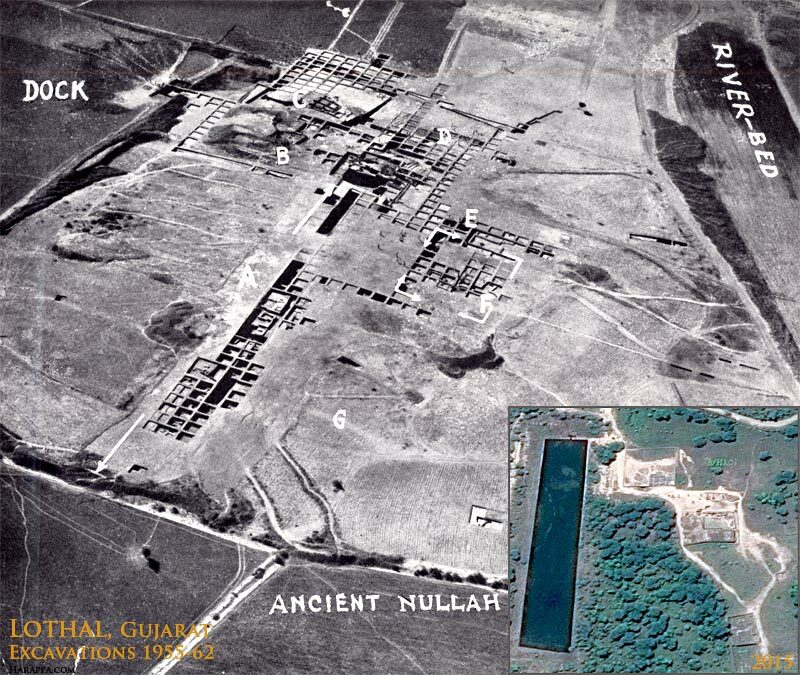 "Lothal was discovered as a result of a systematic survey of Gujarat undertaken by the author in the year 1954 as part of the programme for locating Harappan settlements within the present-day borders of India. It may be recalled that although the 1953 excavations at Rangpur, a site 32 miles south-west of Lothal had confirmed that the Harappa Civilization had extended as far south as Saurashtra, it remained to be explained why and when the Harappans entered the penninsula," writes S.R. Rao in his book Lothal (p. 12). It turns out that there was a good deal of luck to it. "As the prospect of reaching the mouth of the Sabarmati immediately after the monsoon appeared bleak, we had almost decided to postpone further survey by a few months. But the dogged perseverance of Baburao Kadam, the chauffeur, brought the party to Gundi from Arnje through the marshy land. With the help of an enthusiastic resident of Gundi, namely Mehpat Singh, we crossed the water-logged fields and reached a low lying mound near Laximpura. From pottery and other objects collected form surface it became evident that the mound, known locally as Lothal, was a true Harappan settlement." "Out of the eighty-eight protohistoric sites plotted on the map of Gujarat as a result of the joint efforts of the Archaeological Survey of India and the Archaeological Department of the erstwhile Saurashtra Government during the years 1954 to 1959 only six, namely Desapur and Navinal in Kutch, Lothal, Koth and Rangpur in Saurashtra and Bhagatrav in south Gujarat belong to the mature phase of the Harappa Civilization. Even so Lothal is the earliest among them. To this list must be added Gogha. All the rest are later settlements made after circa 1900 B.C. 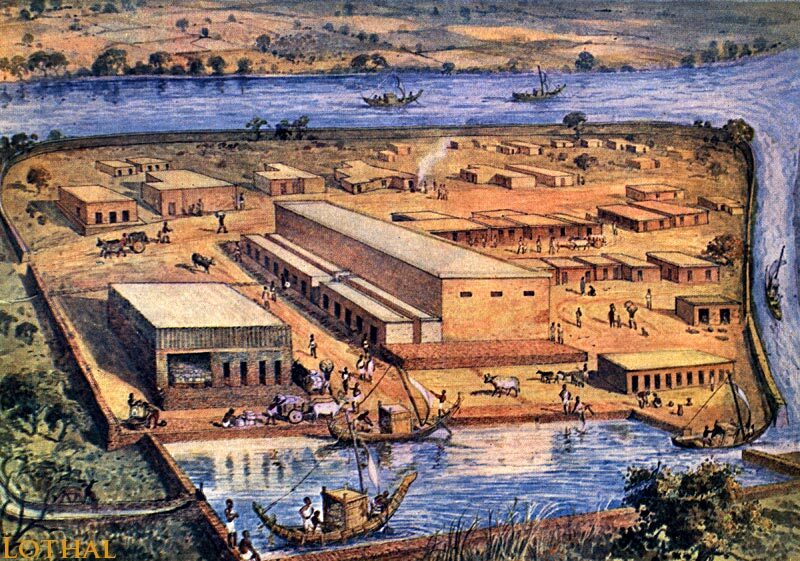 by the Harappan refugees who came from the lower Indus valley or the Sabarmati estuary." "The main purpose of undertaking excavation at Lothal was to decide whether it could be considered as a true Harappan settlement where the people observed the same urban discipline and enjoyed the same material prosperity as in the metropolitan centres of Harappa and Mohenjo-daro. This object was achieved as soon as typical Indus weights, seals and painted pottery were found in the first season of the excavation. The careful planning of the town and the excellent sanitary system existing at Lothal proved beyond doubt that it was a true Harappan town."